Risk management should be approached from a customer-centric perspective, rather than through the narrow lens of litigation prevention, particularly in the health industry where the consequences of error can be deadly. While malpractice claims were an initial driver for the implementation of risk management practices, organisations are increasingly focusing on clinical risk management — aiming for quality clinical outcomes — which would have the flow on effect of reducing litigation and subsequent financial loss. To effectively manage risk within a health industry setting, high-quality risk management practices are essential, to avoid outcomes such as exposure to litigation, loss of reputation and staff, illness and even death. “Manual reporting of risks, without the use of software leads to some severe disadvantages, including human error and interviewer reporting bias,” says eQstats managing director, Andrea Rodriguez. “In fact, many operatives in the industry lack the necessary statistical skills or analytical knowledge to effectively make assumptions about the data. Other disadvantages include the reporting of retrospective data and significantly increased costs. eQstats was recently recognised for its superior automated reporting, eQstats patent, along with its advanced incident and non-conformance reporting module and eQstats GRC platform. “The driving aspect of the eQstats system is the development of the algorithms and processes to automate the decision-making process, that would otherwise be done by a human — ultimately to do the job faster and more accurately, for much larger quantities of incoming data,” says Ms Rodriguez. Making the eQstats patent system unique is its ability to analyse and interpret the data, as well as write the report, effectively replacing a data analyst. “This element of replacing human intervention during the report creation process required considerable new knowledge and innovation,” says Rodriguez. “Our incident reporting software is the most comprehensive platform of its kind in Australia. “It goes beyond data collection, with advanced features that allow you to reduce and manage incidents while improving the quality of care delivered in your organisation. “You can configure escalation plans and alerts, undertake a root cause analysis and link the incident to quality improvement activities, all from the one platform. “Each report features your logo and branding, as well as written analysis and visual graphics that give your team the insights they need to take action. 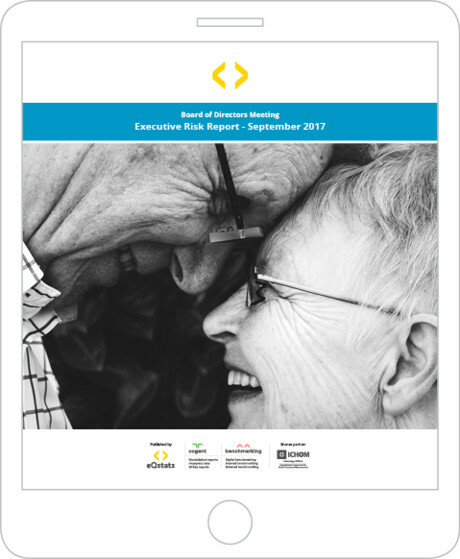 “Print a report for your next executive meeting, or share progress with your team.